Hanseaticsoft provides cloud-based software solutions for shipping operations, including the cloud fleet manager (CFM), one of the most intuitive and flexible solutions for managing and organising entire fleets. The CFM is the central data hub for company information and processes, regardless of the data’s source. Employees ranging from partners to ship crew members can use the CFM to access company data inside or outside of the office. With the CFM, data is centrally managed, reliable, and available from a single portal, removing the need for data silos, spreadsheets and extra copies. The CFM offers an integrated collaboration platform for direct communications, business interactions, and system processes. It uses integrated work flows and observation / task lists, as well as operates without media disruption or enquiries. The CFM allows clients to easily visualise and manage companies through a single application, as well as add partners and integrate additional systems / data. CFM can be used in the office, on mobile devices, and on ships. Data is securely saved and readily available in the cloud, allowing employees to access the same materials and work processes in a flexible environment, which is automatically updated several times a month. The system can be paid for on a monthly basis without any administration or hardware costs, and can be ready to use within hours. Companies can start small, applying the CFM to a few ships or even just one module, such as the inspection report. Due to its innovative design and easy-to-use interface, the software simplifies daily business life and supports shipping operations without any additional training required. Shipping experts and designers have created a unique and highly efficient user experience. The CFM has various modules such as crewing, inspection and disturbance reports, and a world map that seamlessly enables smooth operation on sea or land. Its features range from recording on-board observations to crew administration, including recruitment, payroll, and ship-based service requests. The CFM combines multiple platforms into one flexible application. Hanseaticsoft develops innovative software applications to help businesses optimise working processes and increase performance. The company’s applications are based on standardised Microsoft technology for optimal security, reliability and sustainability. Hanseaticsoft was founded by Alexander Buchmann in Hamburg in 2009. More than 25 developers and shipping experts use the CFM to help customers every day, and the system is implemented by 500 vessels worldwide. 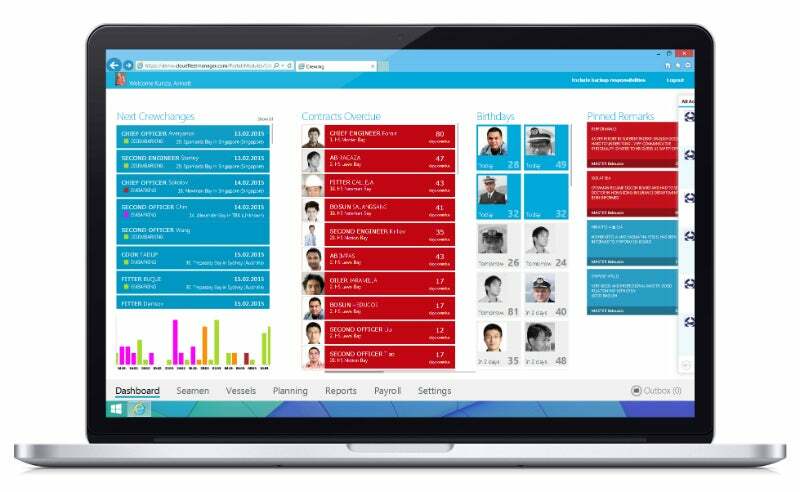 The German software provider Hanseaticsoft announces the official release of a new purchase module in its Microsoft Azure-powered Cloud Fleet Manager (CFM) solution for managing and organising fleets. Named after the Norwegian archipelago of Spitsbergen, Hurtigruten’s MS Spitsbergen is an expedition vessel that was first built in 2009. The vessel has been fully reconstructed by Fosen Yards at Rissa, Norway, and christened in July 2016. The Bremen traditional shipping company Carl Büttner & KG reports the plan of expediting their digitalisation strategy. Carl Büttner decided for the use of the Cloud Fleet Manager by the Hamburg-based software company Hanseaticsoft not only for saving time and reducing costs but especially for increasing the internal data quality. German software provider Hanseaticsoft reports that the Inspection Report, their solution for ship inspections and audits, has been expanded once again and is now also available for Android devices. Alexander Buchmann, CEO of Hanseaticsoft (left) and Torsten Ecks, CEO of ECKS MARINE, decided to work closely together to further strengthen international sales activities around the Cloud Fleet Manager (CFM).